On Tuesday, January 20, 2015, the United State Supreme Court will consider, in the case of WILLIAMS-YULEE V. FLORIDA BAR, whether Florida’s rule of judicial conduct that prohibits candidates for judicial office from personally soliciting campaign funds violates the First Amendment to the United States Constitution. 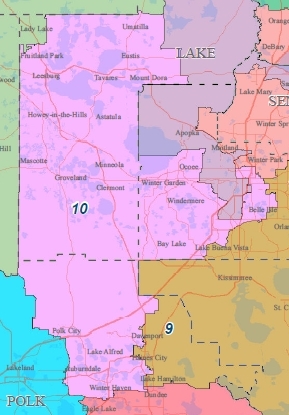 On May 1, 2014, the Florida Supreme Court approved a referee’s findings of fact and recommendation that a judicial candidate be found guilty of violating Rule Regulating the Florida Bar 4-8.2(b) (Judicial and Legal Officials, Candidates for Judicial Office; Code of Judicial Conduct Applies) for personally soliciting campaign contributions in violation of Canon 7C(1) of the Florida Code of Judicial Conduct and rejected the judicial candidate’s constitutional challenge to the ban imposed by Canon 7C(1) on a judicial candidate’s personal solicitation of campaign contributions. 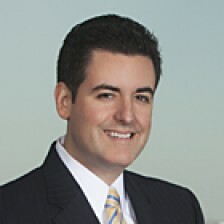 The Florida Supreme Court held that the Florida Judicial Canon is constitutional because it promotes the State’s compelling interests in preserving the integrity of the judiciary and maintaining the public’s confidence in an impartial judiciary, and that it is narrowly tailored to effectuate those interests. This case dates back to a 2009 fundraising letter that was signed by the judicial candidate. Florida’s rules for judicial elections prohibit judges from personally soliciting campaign funds and instead permit judicial candidates to establish committees to make such solicitations. SCOTUSBlog case page, including copies of the briefs filed. 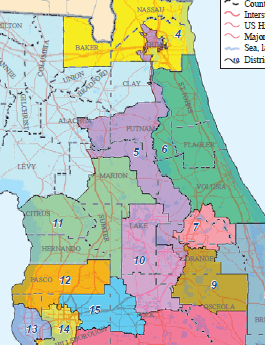 Here is a link to the Senate analysis of the newly adopted Congressional districts for Florida, including maps of the before and after the changes. 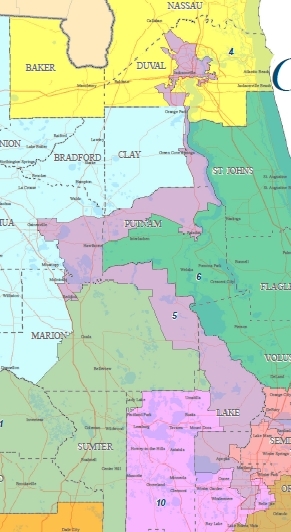 The maps are published online by the Florida Senate. The provisions of the Florida Constitution at issue were Article III, Sections 20 and 21, related to redistricting. A three judge panel of the United States Court of Appeals for the Eleventh Circuit has concluded that Florida’s 2012 effort to remove ineligible voters was “an attempt to systematically remove names from the voter rolls in violation of the 90 Day Provision” contained in the National Voter Registration Act, 42 U.S.C. § 1973gg-6(c)(2)(A). This order reverses the holding reported on this blog back in October, and comes after the State has apparently suspended their current systematic removal program. A Federal District Court Judge in South Florida has issued an order in the case of Arcia, et al. v. Detzner (posted online by the Moritz College of Law at the Ohio State University) denying the Plaintiffs’ request for an injunction and summary judgment and held that the National Voter Registration Act of 1993 (NVRA) does not limit the State of Florida from attempting to purge ineligible non-citizen voters within 90 days of an election. The issue of the NVRA’s limitation on voter list maintenance programs was raised by various civil rights groups and the U.S. Department of Justice. As I wrote about earlier today, the U.S. District Court for the District of Columbia issued any order precleared one section of HB1355 (regarding voters who had moved within the State) but not precleared the change to early voting days (though it did telegraph to the State how it could be precleared). Florida’s proposed interpretation of the effect test would thus mean that section 5 could not prevent the adoption of modern-day equivalents of Jim Crow-era voting laws. To state that proposition is to refute it. Further, as we explain in more detail in the course of our discussion of specific voting changes, see infra Part II.B.1, we disagree with Florida’s position that a change is not retrogressive if it affects “in the aggregate significantly more [w]hites than minorities.” Fla. Br. 53 (emphasis added). Focusing on the effects of voting changes in absolute terms would mean that almost no ballot access change would be considered retrogressive; after all, the fact that fewer members of a particular group are present in the overall electorate is part of what it means to be a minority group. Applying the effect test in the manner Florida suggests would thus allow covered jurisdictions to enact changes with clearly adverse effects on minority voters so long as more white voters were also affected. That approach would fly in the face of the Voting Rights Act’s primary goal of protecting minority voting populations. The retrogression assessment must therefore be conducted in relative terms, with reference to the proportions of each group affected by the change. approval for issuing a kind of “conditional order” indicating the circumstances under which approval may be obtained. See, e.g., City of Port Arthur, 459 U.S. at 167-68 (expressing approval of the district court’s “conditional order” denying preclearance of the expansion of a city’s borders unless the city agreed to eliminate a majority-vote requirement for certain elections); City of Richmond, 422 U.S. at 370 (stating that the district court in City of Petersburg, 354 F. Supp. 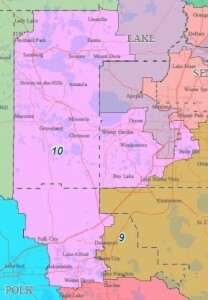 1021, “was correct in conditioning approval of the annexation upon the adoption of the plan to elect councilmen by wards”). We do so here. In sum, the record evidence persuades us that, if the covered counties offer the maximum available early voting hours each day on a standard 7 a.m. to 7 p.m. schedule, the negative effect of reducing the number of days from 12 to 8 would likely be offset by the ameliorative effects of adding non-working weekday hours, a Sunday, and additional weekend hours.